Yes, DRM is the Grand Canyon of consensus gaps. The good news is, the brain trusts of all four angling industries know that any outcome will deeply rattle their core business. Because of that, they also know roughly what they want, and what the others want. Sometimes, just knowing what you want is half the marathon. A translation of what’s rattling whose cores: For the content guys, it’s the gadgetry, coupled to broadband pipes. Without locks and keys, their products are extremely vulnerable to theft, or, unrealized revenues. Think of digital, cable ready receivers, for example, nested inside an assortment of fixed and portable consumer electronics (CE) gear. Say those gizmos know how to work with a digital VCR, or a DVD burner. 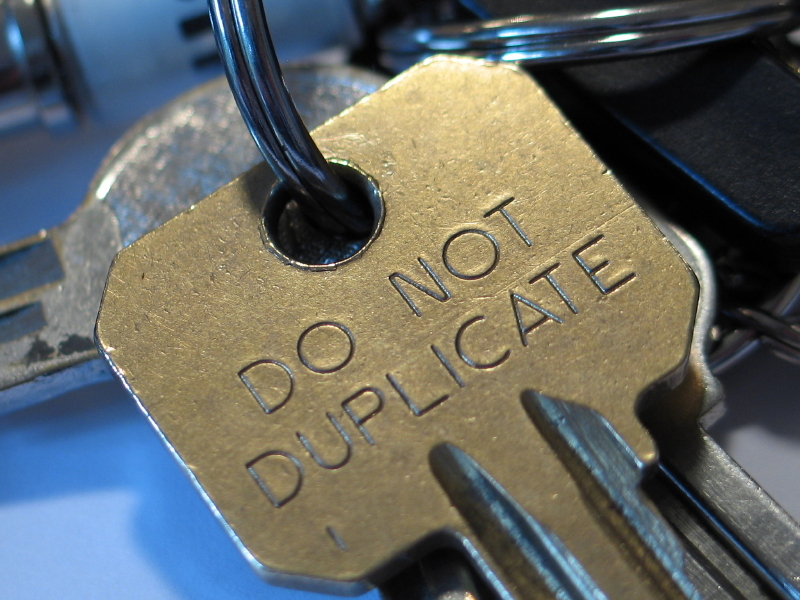 Programs come in, fast and clean, and spray into a device that knows how to duplicate them. Just as threatening is the new darling from the computer industry — the home media center PC — which brings whole-house, all-media storage and playback. That last point — selectable output controls — is what vexes the CE side. As a group, they’re loathe to anybody making any of their connectors “not work,” in someone’s living room, because some copyright holder somewhere said so. At their core, CE companies view as features the connectivity of their gear to different types of devices (which they may also make). Hobbling included features, in their view, is totally counter-productive. That, in turn, vexes cable. 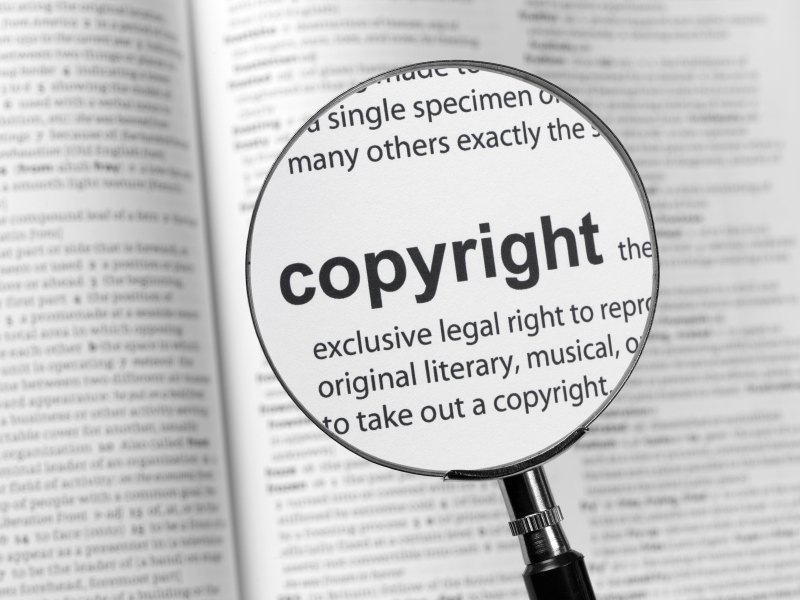 Its unease about DRM happens when imagining Consumer Jane navigating herself to a legitimate (read: copyright approved), electronic place — to download, stream, or otherwise view video content over their broadband cable connection. The disquiet stems from the possibility that the place Jane goes to get the TV show, or movie, or whatever, isn’t owned by or affiliated with the cable provider. On the other hand, if cable can solve how to be a “trusted” extension of a home network, such that its devices are deemed “safe” by copyright holders, interesting things could happen. The same is true of “trusted” DSL/home network configurations. Ditto for satellite/home network extensions, although that lack of a return channel makes the idea trickier. From a consumer perspective, it’s usually the case that any type of security is an inconvenience. (Look at your keychain. It probably has too many keys for your taste.) Nonetheless, getting good programs onto consumer gadgetry is clearly going to need some kind of protection — or else the producers of those good programs won’t make it available. Industrially, the worst case scenario (except perhaps for lawyers) is that the discord surrounding DRM steers the entire matter to court. It doesn’t appear that anyone wants that to happen. The best-case scenario for DRM is that it becomes a mechanism to build and enact new business models for quality content, so that it can play within a “trusted domain” of cable-ready consumer devices. Easier said than done. The work of DRM is happening in hypotheticals, so far. Each industry’s biggest brains are working on it, attentively and warily. The real action will coincide with the identification of specific applications, perhaps as part of a deal, that need DRM. As just about any technologist would submit, step one of good engineering practice is to clearly define the problem to be solved. Technology-wise, there are three things cable operators will need if they want to grow their broadband Internet pipe with bandwidth-differentiated services. What’s a bandwidth-differentiated service? Anything that runs way faster — or with way fewer interruptions — for a temporary slice of time, on broadband. Two examples always seem to rise to the top. First is an operator-originated or third-party game service, on broadband. The blast is a differentiated broadband service. The second example is an operator-originated or third-party video download service, to the PC. Maybe the “buy” options include a click to pay more for faster delivery — not unlike springing for FedEx delivery when you’re inspired to receive something quickly. The theory: When you’re in a big hurry to get to the airport for a long flight, maybe it’s worth a few extra bucks to get the movie into your laptop in 10 minutes. Doing so means the broadband pipe would need to widen itself to something like 7 Megabits per second, sustained for 10 minutes, just to you. The temporarily super-fast link is a differentiated broadband service. Technologists call the differentiation mechanism “quality of service,” or QoS. It’s what made DOCSIS 1.1 different than DOCSIS 1.0 — the ability to set up and tear down different types of guaranteed broadband sessions, as needed. Meanwhile, any other “non-premium” data riding the same passageway got “best effort” handling, which is the way most cable modems work now: You get what you get. Sometimes it’s more than you need, most times it’s what you need. Which brings us back to the three things a cable operator will likely need, to offer bandwidth-differentiated services. Surprise — (not) — the three things are servers. They spawned from the PacketCable Multimedia specification: that’s the one that adds more possibilities than data and voice to the credentials of the industry’s IP paths. One is a “policy server.” Its purpose is to tell the headend piece of a broadband Internet system, known as the “CMTS” (Cable Modem Termination System), when to nail up and tear down premium sessions for requesting customers. It knows what to do based on the “business rules” it gets (from its owner) for each premium-styled service. Another is an “applications manager.” It acts as both translator and intermediary between a differentiated service — the game blast or the speedy delivery — and the individual policies of bandwidth providers. A third, known as a “record-keeping server,” does what its name suggests. It keeps a running log of who’s using what bandwidth, for how long, for accounting (and dispute-resolution) purposes. Say it’s Customer Bob who wants to (legally) download a movie, quickly, because he’s on the edge of late for his trans-Atlantic flight. He clicks for the speedy-delivery fee, and walks away to finish packing up. The policy server checks that the Bob isn’t in arrears, and is technically capable of receiving an express bit glob. It lists the parameters necessary to get Bob what he needs, and ships that list off to the cable-modem termination system. Lastly, it pops a note off to the record-keeping server, to track the bandwidth order. The CMTS receives the list, aims the bit geyser at Bob’s modem, and fires. Ten minutes later, Bob smooshes his laptop into his bag, and heads for the airport. As for availability of the three servers, vendors are standing by. Several companies, including CableMatrix, Camiant Inc. and Ellacoya Networks, among others, demonstrated gear at the recent National Show. Now it’s just a matter of deciding whether to differentiate bandwidth with your own services, or with third-party providers — or both. The tricky part in translating the developing work that is “downloadable security” is the very fact that it is developing work, or clumps of ideas huddled deep within the cone of silence. Plenty of public information exists about why it’s needed, and when — witness the multiple mentions within the Federal Communications Commission’s recent ruling, released on St. Patrick’s Day. But gathering the particulars of how downloadable security works, or will work, remains fairly shrouded. Or at least it was until this year’s NCTA Technical Papers landed in the mail stack. Each year, the National Cable & Telecommunications Association compiles the technical papers delivered at its National Show. My copy showed up last week. I prowled through it with fiendishly nerdy interest, as I do every year. And there it was: A paper, simply titled “Downloadable Security,” and written by one of the chief architects of the industry’s plan: Jim Fahrny, a Comcast Corp. “fellow” engineer. First, three quick lingo translations. There’s “embedded” security, also known as “integrated” security, which is what’s used now in digital cable set-tops. What’s embedded is a secure-but-proprietary microprocessor. The secure chip contains the secrets needed to authenticate a new box when it enters the scene. Then there’s “separable” security, such as CableCARDs, in which all the secret stuff is packaged onto a card that can be removed and replaced, if compromised. “Downloadable security” is envisioned as a nonproprietary way of securing digital content. Secret stuff needed to protect channels is electronically sent to receiving devices, in a manner that’s renewable if compromised. The secrets themselves can be proprietary, but the chip that handles them isn’t. That way, consumer-electronics companies can build gear that works on any cable system in the country, regardless of how the security secrets are generated. Operators have until next July to outfit all going-forward digital boxes with separable security. But the FCC and the MSO community are keenly interested in perhaps skipping the separable part and going straight to downloadable. A Dec. 1 deadline exists to outline the downloadable plan to the commission. Regular progress reports, both from cable and the consumer-electronics community, will punctuate the time until December. 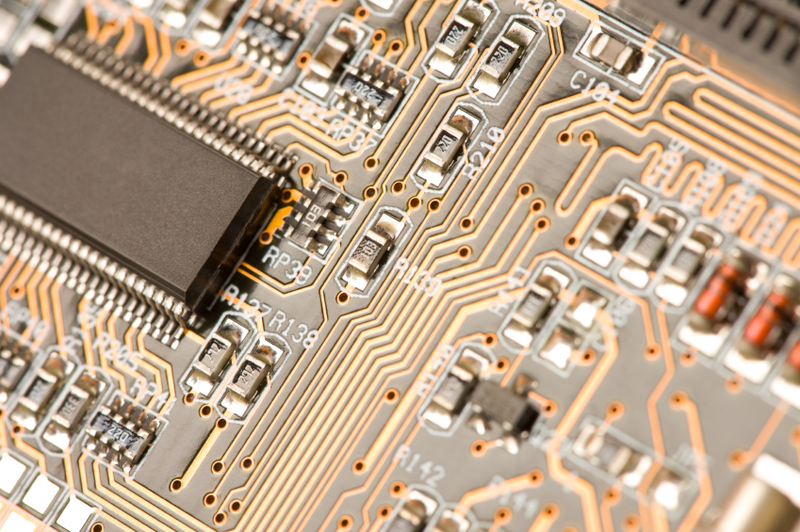 One of the big ideas in downloadable security is the notion of the blank chip. It gets built into digital cable-ready devices and set-tops, and receives its security “personality” at the time the device is attached to the plant. After the box and the headend have assured each other that they’re not imposters (see the April 11 translation), the blank chip — known industrially as a “Secure System On a Chip,” or “SSOC” — goes about getting its security traits. Key exchanges happen; digital signatures are included to protect the security image from being modified along the way. All exchanges are encrypted to assure they can’t be seen by interlopers. Here’s how it looks from another, more tangible angle: Consumer Bob goes shopping for an HDTV set. Let’s say that set already has a blank security chip inside. He takes it home and connects it to cable. In the background, the cable plant gets busy discovering Bob’s TV. After the headend and Bob’s TV establish each other’s trustworthiness, Bob’s TV receives a secret key. The key is to unlock a downloaded security package, which contains a Bob-specific conditional-access client, keys and initial entitlements. In a nutshell, it learns which services Bob is authorized to get based on what he ordered. And because the new, downloadable security method must achieve the same business goals as the CableCARD — to make cable-ready hardware geographically portable — let’s say Bob moves. In his new place, he plugs his HDTV into the cable outlet. When the headend controller of Bob’s new cable provider discovers Bob’s TV, it sees an unfamiliar security package. It tells the TV to delete it and replace it with a new software image. That’s an overview of the early, architectural work that is downloadable security — and the end of this unintended miniseries on conditional access and encryption. As the momentum builds, translations will follow. For now, it’s probably time to let the ingredients cook. Recently, we deconstructed the telephony hankerings of a fictitious customer, Bob, as a way to illustrate the obstacles that could block future “do-it-yourself” installs of cable-delivered voice-over-IP (VoIP) service. A refresher: One day, Bob decided to replace the two lines of telephone service he’d gotten from his local telephone company for the past decade with a data and voice package from his local cable company. (He already had video service.) Bob liked his phone numbers, and opted to keep them. Bob bought the gadget and took it home, reckoning he could handle the installation himself. He even thought he could get it all going before his co-workers picked him up to go to a baseball game that afternoon. The broadband Internet connection came up quickly and painlessly. So did the VoIP connection, for the most part — although all that traipsing around outside with a screwdriver to find the telco’s wiring box, and undo the twisted-pair lines, was a little more user-intensive than he would’ve liked. Bob was in his garage, dusting off and putting away the screwdriver, when the police car eased into his driveway, lights flashing. Naturally, it was at this precise moment that Bob’s coworkers arrived to pick him up for the game. Suddenly, and with a flash of chagrin, Bob remembered his home security system. Like many such systems, the “eyes and ears” watching over Bob’s house are a series of small plastic sensors affixed to windows and doors. Their wires unite at a metal box, which, in Bob’s case, rests on an interior wall of his hall closet. The metal box connects to the telco wiring box, on the side of the house. A speaker, mounted above the closet door, is used by the alarm company to talk with Bob, when necessary. Yet when Bob unwound the colored wires from the posts inside the telco wiring box, he simultaneously deactivated the line seized by the alarm company to contact him during emergencies. Past the red lights of the squad car, and the smirks of his friends, Bob listened to the policeman tell him of his error. When he’d disconnected the wires, Officer Friendly said, the alarm system did what any guardian would do when its main link disappears: It called the police, lest a burglar had cut the line. The only constant about home security systems is this: They’re different from one to the next, in terms of how they link sensors to the remote monitoring company. Systems designed to thwart burglars almost have to vary. From a tactical, operational perspective, there’s really no getting around it: Dealing with security systems during VoIP installations is a home wiring thing. Already, some MSOs have home security systems on the checklist of things to ask about when customers request phone service. Forewarned is forearmed. In practice, people with home alarm systems like Bob’s are in the minority. So far, in the limited trials and commercial launches of cable VoIP, somewhere between 8% and 10% of homes use security systems that seize a phone line during trouble. Yet it’s worth remembering that the traditional telephone network is a century old. It’s likely that there will always be small outcroppings of customers who use a small outcropping of devices that rely on the phone wires. Some fraction of a community, for example, probably participates in the automated meter-reading practices of some utilities — which rely upon a phone line to collect data. Others use devices they may not even know they have that communicate to other devices over the phone wires. Symptoms will show up only when the traditional telco wires are disconnected. Think as a consumer, for just a moment. You’ve had the same phone provider for a dozen-plus years. You switch. Suddenly, something you’ve ignored for the last dozen years stops working. Who do you blame: The thing you’ve ignored for the last dozen years or the new service provider? It is all of these things, by the way, that roll up into that everywhere term: carrier class. At a minimum, “carrier class” means that the phone works even when the power is out, at least for some period of time. But at a checklist level, “carrier class” can include triple dozens of other features. In Bob’s case, he corrected the security situation by futzing with his wiring, so that his alarm box connection behaved like any other phone outlet in the house. When the alarm needs access to a phone line, it goes “off-hook,” through the E-MTA. Staffers at the remote monitoring location can still establish a talk-able connection over the speaker in Bob’s hall closet. The point is this: Cable providers who sell their phone service as “LEC replacement,” meaning that they intend to fully replace the local phone service, will probably need to deal with everything that uses that phone line. 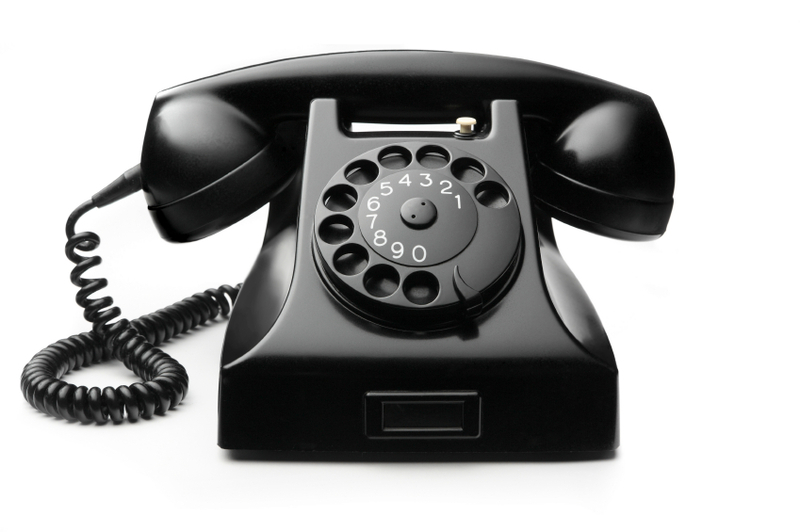 By contrast, telephone providers who industrially describe their VoIP service as “secondary line” or “nonprimary line,” among other gibberish terms, don’t have the baggage of “carrier class.” This includes Vonage Holdings Inc. and AT&T Corp.’s new “CallVantage” offerings, which run on top of cable and DSL modems. Others are coming. Ultimately, customer Bob was able to manage his own VoIP install. But the policeman in the driveway erased some of the satisfaction, and his friends tagged him with a new nickname: For God Sakes Don’t Do it Yourself Bob.